Dan Blocker aka Hoss Cartwright. Dan Blocker's story begins and ends in DeKalb, in Bowie County, located in uppermost Northeastern Texas, though most of it played out in West Texas and in Hollywood. 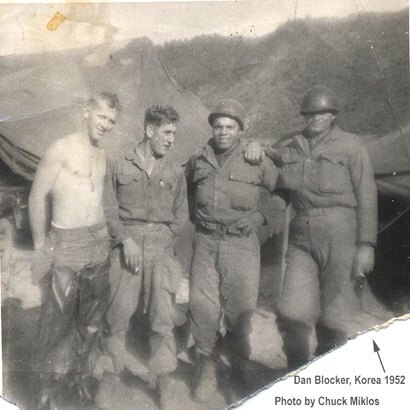 Blocker was born in DeKalb in December 1928, but the physician who assisted in the process did not issue a birth certificate until March 1929, and it recorded his name as Bobby Don Blocker. Blocker weighed fourteen pounds at birth, and when he became a celebrity, it was reported that he was the largest infant ever delivered in Bowie County. Blocker's family moved to O'Donnell, in West Texas, when he was six years old. After attending local schools, Blocker enrolled in the Texas Military Institute, Hardin-Simmons University, and then played football at Sul Ross State University. By then Blocker had grown to six feet, four inches and weighed 275 pounds. Blocker's degree from Sul Ross was in speech and drama, and it was the latter that interested him most. He declined opportunities to play professional football to concentrate on acting, but his career plans were interrupted by service in the Army during the Korean War. In 1952 he returned to Sul Ross to study for a master's degree, and married Dolphia Lee Parker. Blocker taught in schools in Sonora, Texas, and Carlsbad, New Mexico, then moved to California to work on a Ph.D. While doing so he served as a substitute teacher in Glendale Morrison. In 1959 Blocker was cast as "Hoss" Cartwright, the middle son of rancher Ben Cartwright, in "Bonanza," one of many Westerns that crowded television screens in the 1950s and 1960s. What made "Bonanza" different was its twelve-season longevity. The series ran for thirteen years with James Arness' "Gunsmoke" its only competitor. "Bonanza" also became the most popular Western series on television, and was the anchor for NBC on Sunday evenings. Blocker's portrayal of the large but loving son of Ben Cartwright made him enormously popular, which also was good for business in the national chain of Bonanza Steak Houses, in which he was a partner. 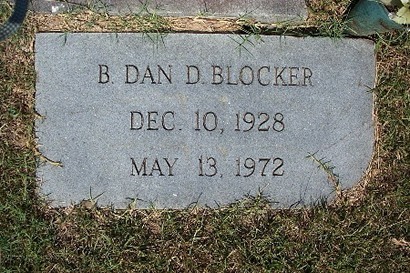 Blocker died from complications resulting from surgery in 1972, and was buried in the Woodmen Cemetery in DeKalb. This East Texan finally came home after riding the range of the Ponderosa so well and so long.